The Maritime Labour Convention 2006 came in force in August 2013. Implementation of MLC requirements and procedures is completed on board of SCM group of vessels with success and all SCM Fleet is granted MLC Certificates. 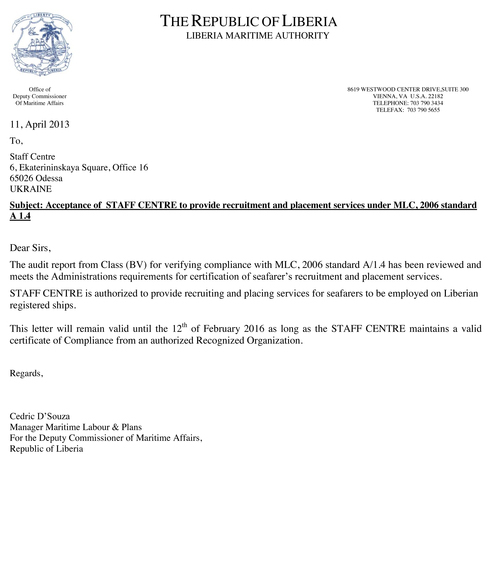 Staff Centre Shipmanagement Ltd. works in full compliance with MLC-2006 requirements.